Since exhibiting her brain scan-inspired artworks at the BNA Neurofest 2017 (Birmingham), Rebecca Ivatts is now publishing an art-science book of her works accompanied by short essays by neuroscientists. Designed to appeal to clinician and layman alike, this beautiful publication promises to provide a feast for both the eyes and intellect. While shining a spotlight on various areas of neuroscience, the 50-odd artworks also offer a fresh, imaginative perspective on the brain. 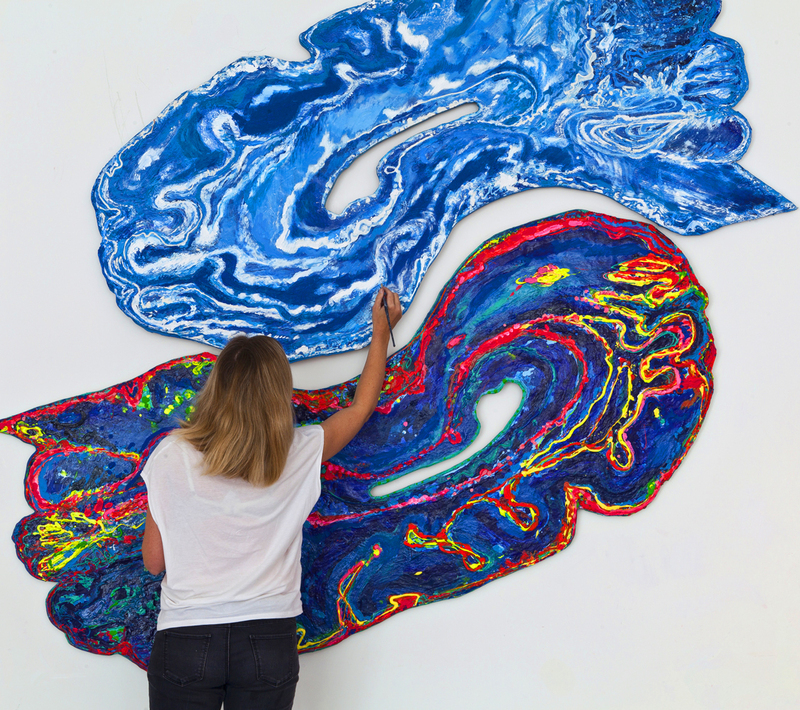 Most recently Rebecca has collaborated with a Parkinson’s specialist at Oxford University and is set to embark on an art-science collaboration with stroke and rehabilitation academics/patients at Oxford and the Wellcome Centre for Neuroimaging.